Our Amazon link is one of the ways we fund the site. If you buy something through this offer using the link below, you can consider your HFP subscription for 2019 paid! This should stack with the American Express Membership Rewards ‘£25 off a £40 purchase’ offer if you have Preferred Rewards Gold or Platinum Amex card. This is for SOME PEOPLE – definitely not everyone – who link their Amex Gold or Amex Platinum card to their amazon.co.uk account and part-pays with Membership Rewards points. Part-pay for your order using Membership Rewards points. The sneaky option is to redeem just 10 points for a 5p discount. This saves you ‘wasting’ MR points on a low value redemption. You will only get 0.45p per point and you shouldn’t waste more than 10 of your valuable points on such a poor deal! Do NOT add the code at this point. Click ‘Use This Payment Method’ and continue to the final payment screen. You should be able to do this after redeeming the BIGTHANKS code. If you make your purchase via this Amazon link (click), Head for Points gets a small commission on your purchase and it helps keep us ticking over. Go back to something sold by Amazon, and see if there is not something somewhere next to the price saying “Promotion available”, if there is, click on it, and the £5 discount should show up as a “promotional credit” in the payment page. Worked for me this way! No issue with the £5, it’s the £25 off £40 code that’s the problem. same. Amazon have just said not to use the AMEX code and it will kick in later. Not sure if I trust that! The £25 code is a nightmare and has been since they change it before Christmas. Amazon CS refuse to believe there is an issue with the code and keep banging on about all the codes have been redeemed (which if true then it makes no sense why they keep extending the expiry date). Being politely forceful they do eventually just credit you with £25 after the order is shipped. They even told me to call Amex and talk to them about why the code isn’t working. To say I lost my rag a little is an understatement and demanded a supervisor take over. Even trying Rui’s method of clicking the promotion code on the item did not work. No sign of it at the checkout stage. It says the promotion will end after it’s been used by the first 8400 customers. I think it’s all been used up…. Worked fine for me a minute ago. Had to make sure sold by Amazon though – first attempt relied on item sold by 3rd party to take me over the £25 threshold. I think everyone is talking about the £25 code and not the £5 code. The £5 code is working but the £25 code is not. From Amazon website for £25 off code: promo code AMEX25OFFSWP by 31/03/2019. 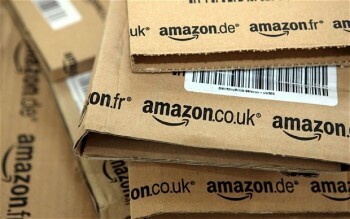 Offer only applies to eligible items sold by Amazon.co.uk. 1. This is a limited time offer. The promotion will end at 23:59 GMT on 31/03/2019 or when 33,333 customers have claimed the promotion code, whichever is earlier. The promotion code will expire concurrently. Ah OK, the reply was to Rob’s article (rather than one of the other Amex comments) so wasn’t sure which one they meant. Amex code not working for me as well. The Amex code wasn’t working for me about 3 days ago. Just thought it was because I had used if before (different Amex card but same Amazon account). The AMEX25OFFSWP didn’t work for me either and in a live chat she said it had ended as they had reached the 8,400 users. She did say that if you originally tried to apply for it when the code wasn’t working and had tried before the promotion was filled then it would work if you tried again. I guess you’ll only know if you were within the 8,400 if you try again and it works. sorry about dud info if £25 code has expired! Link is still up and in date. I’d like to test it for you but I already used the £25 off £40 on all our household Amazon a/cs! i just tried and spoke to customer services and they said its all used up. Spent an hour trying to get this to work, thanks for wasting my time! Last time I use your website. We are so gutted you are going. Honest.